With summer winding down and everyone gearing up for the school year, there is a whole list of things that parents, teachers, and students begin to think about. In addition to the usual concerns for time, friends, and classes, there is another pervasive reality we need to consider — social media. So many of us, and our children, spend a great deal of time on social media sites like Facebook, Instagram, Twitter, and even some game sites that include social interactions. But how are we moderating (and monitoring) the things we view and post on these sites? What follows below is not a list of static “rules,” but rather some food for thought about how we conduct ourselves online, and especially on the various social media networks. Most school districts strongly discourage or prohibit teachers being friends with students on social networks, and this is an important rule to keep. Even if your activity online is mundane, there is a boundary that must be maintained between an educator/caregiver and a pupil, and part of this boundary is being entirely professional with students in every aspect of your interactions. The same sort of boundary should also be maintained with parents of your students and even with co-workers. Unless you are already friends in the “real world,” online interactions should be limited or avoided as much as possible. Again, this is simply a proper professional boundary. Because of your professional position, be very cautious of what you post and how you interact with others on social networks. Even if you maintain professional boundaries, social sites are, by nature, social, and people (including parents or students) can see the things you do on them. Inappropriate posts and interactions that appear on your wall can also be an issue, even from friends and others. Take proper care to help ensure that nothing happens that can damage your good reputation in the community. Remember that your children (depending on their age) can see everything you do on social sites, so the “advice” is simple — be careful, and always be aware that what you do can (and probably will) be seen by your kids. Just like driving where you need to be aware of the other driver, you need to be aware of your connections on social networks. 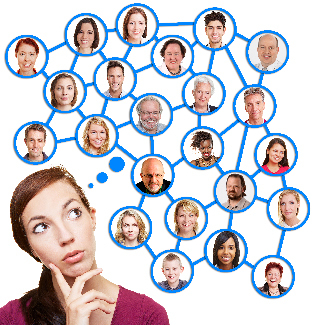 Monitor your social media to see what is being posted on your wall by others, and in cases where people can see your connections, be selective in whom you choose to be part of your network. Posts by others on your sites and connections you have can be seen as a reflection of you. Many children who are under the “suggested age” for certain social media sites still use those sites in applications and games. With allowances for the age and maturity level of individuals, children should either not be allowed on social media sites (these sites all have age limit restrictions), or their activity should be closely monitored. Teenagers should also be monitored, but given the level of freedom that guardians deem appropriate based on age and responsibility levels. 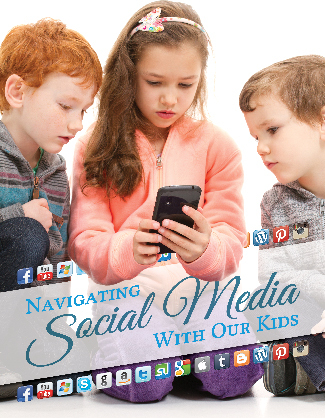 Teach and remind kids that any of their online activity, especially on social networks, can be seen by other people. They should be educated about proper and acceptable online behavior, and (since children can be more impulsive and less concerned with future repercussions) have their activity watched as well. When issues arise, we can also use them as educational opportunities, teaching our kids why a certain post or activity could be problematic. These lessons, if learned, can be golden opportunities to avoid larger, potentially damaging circumstances down the road. Always maintain a “friendship” connection with your children on social networks. The reality is that the online world has the potential to be a dangerous place. 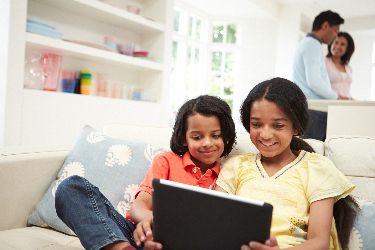 We can do some simple things to help watch out for children’s safety, like watching friend lists and paying attention to postings and “likes.” This simply gives us an idea of what our children are doing, and we will be better able to ensure that they are making good choices with their online time. If we see something troubling on our children’s networks, whether it’s a new friend or a particular activity, the best approach is to have an open and honest conversation with them about what we see and why we, as guardians, might find that particular behavior problematic. This also gives us the chance to talk with our kids about what is going on in their lives, which is always an important conversation to have. Remember that, as parents/guardians of children, we need to be plugged into the lives our children are living. Parents have always had this job, and, in the modern era, this means technology and internet and social media. Even if we are not be the biggest fans of social networking, children worldwide are spending ever-increasing amounts of time on these sites, and as good and responsible guardians, we must be there as well. With a little guidance and wisdom, the internet can be an amazing resource not only for the adult world, but also for our children and students. We’ve never before had so much information at the tip of our fingers, and the opportunity to access information for the right reasons is a tremendous benefit to our children.